So…I went out and got myself one, and I’m sharing it with YOU, my gorgeous Stan D’Aviators! 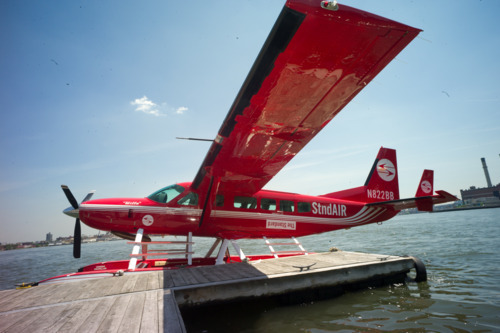 Today, our family seaplane, StndAIR, takes off, and we’re bringing you along for the ride. 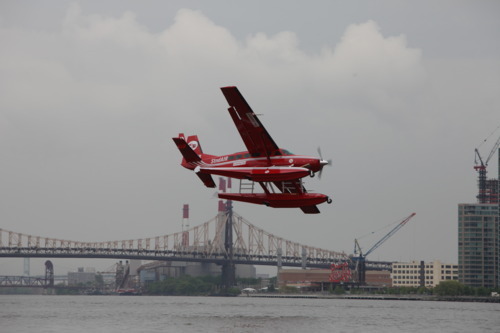 This 8-seat Cessna will be flying from 23rd street and the East River with weekly scheduled flights from Thursday - Monday to East Hampton. I know. I didn’t think it could get any more chic either! Hold on. I already know what you’re thinking….”What if I don’t want to go to East Hampton?” You don’t have to. If you charter the entire plane with seven of your friends, you can take it anywhere you want within a 300 mile radius of Manhattan. Pick a destination. Nantucket? The Vineyard? Shelter Island? Hawaii? Okay, maybe not Hawaii, but you get what I’m saying. 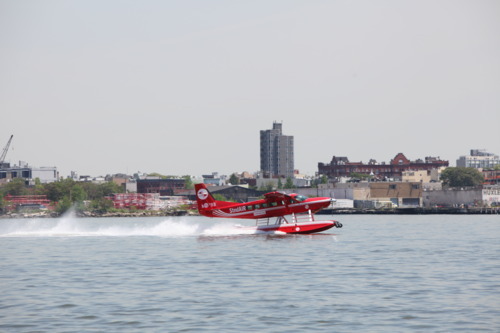 There’s one last thing…it wouldn’t be Stan’s seaplane if I didn’t throw you for a loop. My friends and I have created the StndAIR Flight Board, which essentially is a little game of risk for all you thrill seekers. What you have to do is start a board and try to fill it up with seven of your friends. The beauty is that the first seat to EastHampton on the plane is only $30!!!! The second seat is $95. The third seat is $145, and it slowly goes up from there. If you’re the first to fill up your board in your chosen destination and time slot, your charter flight is only $1720! That’s over $1200 off the normal price of a charter! But you have to fight for it, and if you’re not fast enough, you might not win! So, who’s in? This is a once in a lifetime opportunity, and you never know when I’ll be sitting in the pilot seat. Flight attendants….We are approaching our final descent. Please prepare the cabin for landing. To book your seat or to charter the plane, please visit StndAIR or call 855-STND-AIR (786-3247) or email Reservations@StndAIR.com.